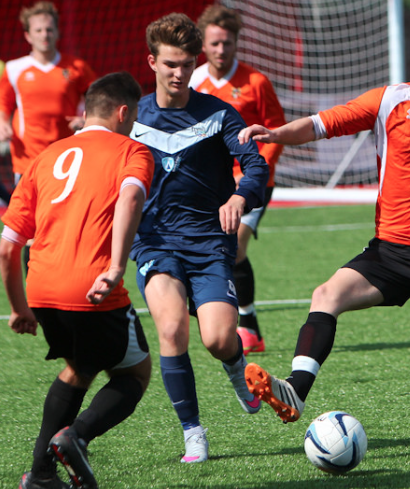 This week the AoC Men’s Football squad were involved in County Cup action. The opposition were in the form of Ifield Community College of Crawley and their 1st XI. A couple of changes were made with Noah Horne making his debut at right back, Ben Griffiths & George Dennis making their first starts of the season and James Thurgar taking his place on the left wing. It didn’t take long for Worthing to take the lead and it was from the penalty spot. Conor Bull stepped up confidently to give Worthing the lead. 1-0. Keeper Jacob Thompson produced another sound display, which was capped by a great penalty save late on. However Ifield were looking strong in the centre of the park and combining this with a lack of tracking back it was only a matter of time before Ifield got back on terms. 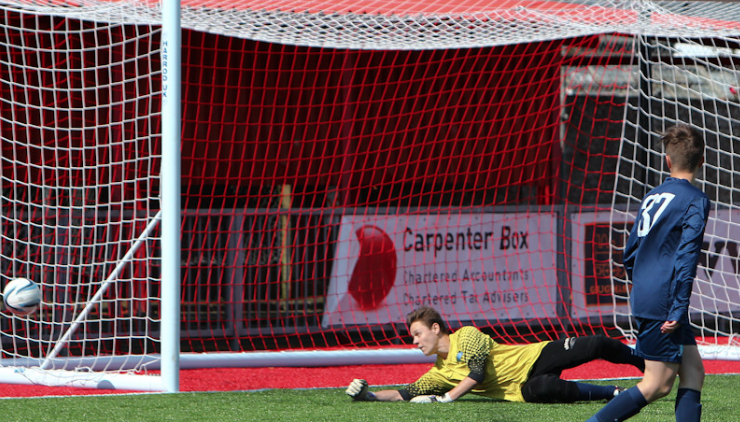 A worldie effort meant that Worthing keeper Jacob Thompson had no chance. 1-1. Pressure needed to be applied on the Ifield goalkeeper and to their credit Worthing looked to do this at every opportunity. This lead to a further two goals to extend Worthing’s lead into half time. Free kicks from James Thurgar (2-1) and Bull (3-1) extended the advantage. Second half required more of the same in terms of applying pressure on the hosts. Changes were made with Chay Peters and Josh Warner coming on for Griffiths and Dennis. Both competed well when coming on. Chances were being created, however Worthing were looking a little wasteful. Bull being the main culprit. Striker Jordan Welch again put in a great shift for the team and this was rewarded with a goal; cooly finishing in the bottom right hand corner. 4-1. Final changes were made with Thurgar making way for James Lower and Joe Patching being replaced by Jacob Parkin. This didn’t seem to disrupt the flow of the game and Worthing’s place in the hat for the next round was secured when Bull completed his hat trick from the penalty spot. 5-1. Conor Bull scored a hat trick but squandered others in this comprehensive victory. Ifield kept going and were awarded a penalty in the closing minutes, only for Worthing keeper Thompson to make a great save and make sure the final score remained 5-1. Again another very positive report from caretaker coach Mark Rugman. The boys were outstanding in their approach and worked well as a side on a difficult surface. Isaiah Amoo was rightly named as man of the match for his all action performance.